Don’t worry, we get it. It can be difficult to keep furniture and other upholstery clean with everyday life. And if you have kids or pets, it’s that much harder. Thanks to Great American Chem-Dry, your furniture doesn’t have to stay dirty. 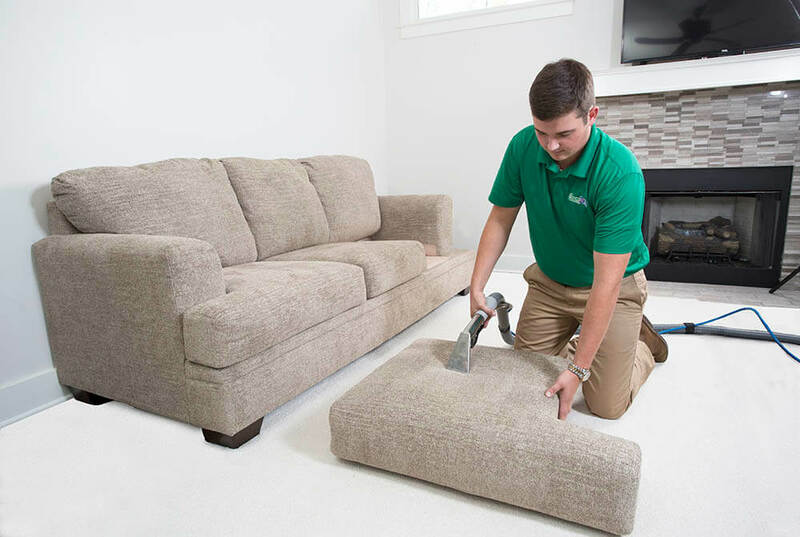 We’re able to remove virtually any stain in your upholstery. Regular furniture cleaning can make your home seem fresh, clean, and like new. Give us a chance to wow you with our San Diego upholstery cleaning service. You might be surprised at just how good your old furniture can look! Great American Chem-Dry gets your furniture clean by lifting dirt and soil to the surface of your furniture’s fabric. Once the contaminants are lifted to the surface, our powerful extraction equipment whisks it away. The secret to Chem-Dry’s drier, healthier upholstery cleaning: millions of tiny effervescent cleaning bubbles. The carbonating solutions penetrate deep into the upholstery, literally exploding dust & dirt off the surface so it’s easily extracted by our equipment. Chem-Dry’s safe, non-toxic solutions actually help your sofas, love seats, couches & chairs stay as clean as when they were brand new. It’s important to us to offer the best cleaning service possible. We wanted to know just how effective our Hot Carbonating Extraction (HCE) cleaning process was and wanted to be able to back-up our successes with real numbers! So we called up a leading independent laboratory to come and test our carpet cleaning and upholstery cleaning services out. 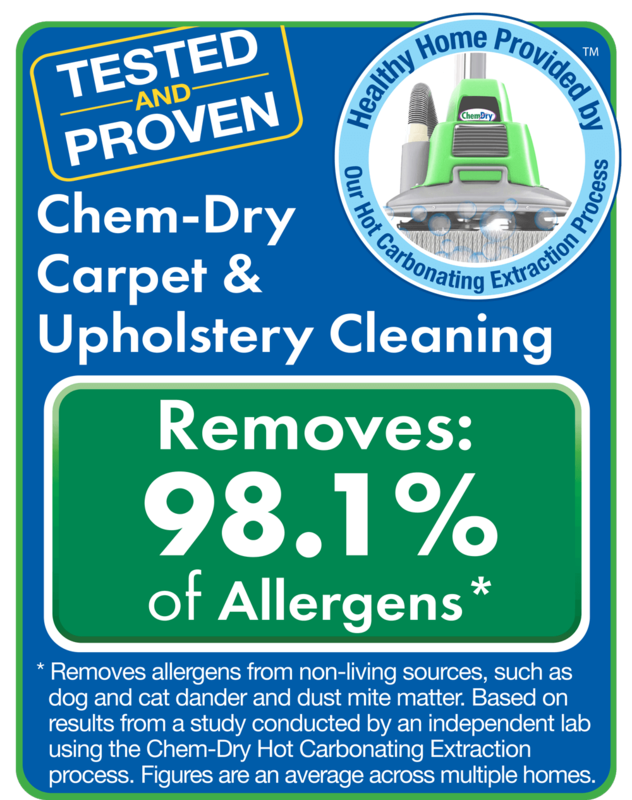 The lab concluded that Chem-Dry’s HCE process removes an average of 98% of common household allergens from upholstery. The allergens tested were dog and cat dander and dust mite allergens. In addition, the lab found that our HCE process, used along with a sanitizer, removes an average of 89% of the airborne bacteria in the home, improving indoor air quality. It doesn’t get much better than that for furniture cleaners in San Diego! Give us a call so we can get your furniture and home cleaner and healthier. I love Great American Chem-Dry! These guys came on time, worked hard, and left my carpet and couch spot free and smelling great. I love that nothing is soaking wet, and usable again in a short time. Great for auto interiors, boat interiors, office dividers, furniture, and any upholstered item. Contact us today to learn more, or schedule your next visit online today with Great American Chem-Dry!